Fantastic Four Newspaper Cover [FFNYPNP] - $300.00 : Hollywood History Online, Discover the Magic and Bring Hollywood Home! A group of astronauts gain superpowers after a cosmic radiation exposure and must use them to oppose the plans of their enemy, Doctor Victor Von Doom. 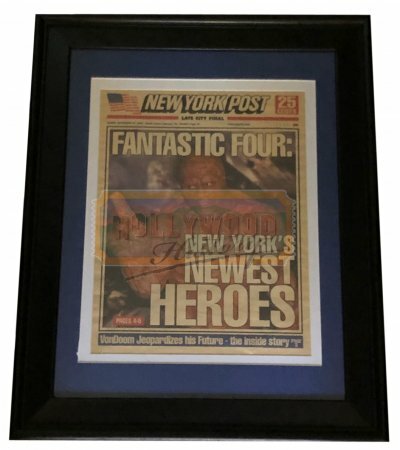 From the 2005 film Fantastic Four, this is a framed New York Post newspaper cover. Once the Fantastic Four are crowned as New York’s newest heroes, the New York post broadcasts it through their newspapers and this is one of the covers production used for the film.